Who doesn’t want to be their own business? If you are tired of working for someone else’s organization and want to start your own business, and searching for auditors in Cannon Street, you have come to the right site. If you already own your business around this area, you again have come on to the right site. Miranda Management and Accountancy Services Limited has been delivering clients with out of the box solutions to all your accounting needs . Rated one of the best in gaining customer trust and satisfaction, we are committed to providing A-class service in Cannon Street, London. When it comes to Miranda Management and Accountancy Services Ltd, we have specialized in serving both small and big businesses, in the local area. We provide a wide range of services like- business audits, payrolls, preparing annual reports, providing personal and business tax services, VAT ’s and much more. Bookkeeping system made easy by us, which comes handy when it comes to dealing with tax assessments. We have employed highly qualified professionals working for us day and night. They have the knowledge and expertise to provide accurate and efficient solutions for all your accounting needs. What makes Miranda Management different from the rest in providing Accountancy Services? Our priority is our clients and that’s the only succeeding mantra for Miranda Management and Accountancy Services Ltd. We treat our customer as our family. Our accountants in Cannon Street put the necessary dedication and effort so each customer feels special. We regularly keep in touch with them by sending updates and reminders. 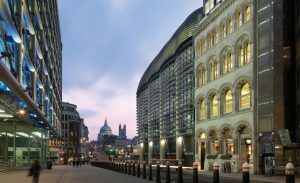 We deliver quality and efficiency and that really makes us click in Cannon Street, London. Are you located in the Central Part of London? Then, do not hesitate to drop by our office for a quick consultation. Our experts would be eager to help and see your business grow.